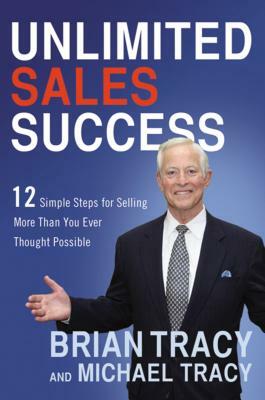 If there were a single great "secret" to being an elite sales professional, surely one of the millions of attendees of Brian Tracy's sales seminars would have spilled the beans by now. There isn't a secret. But there is a set of consistently successful selling techniques that most companies don't teach their salespeople, and which most entrepreneurs and independent sales pros think they don't have time to learn. Based on more than 40 years of selling experience-in virtually all product categories and market conditions, Unlimited Sales Success shows that these proven sales skills are learnable-by anyone. Highlighting practical, time-tested principles including: * The psychology of selling: your own mindset is just as important as your customer's * Personal sales planning and time management: whether you work for yourself or someone else, great planning equals great success * Prospecting power: get more and better appointments * Consultative and relationship selling: position yourself as a partner with the account * Identifying needs accurately: you'll know how to arouse their interest and overcome objections * Influencing customer behavior: learn what triggers quick buying decisions * Closing the sale: the five best methods ever discovered * And more Unlimited Sales Success is loaded with eye-opening facts and exercises, peppered with stories of great selling techniques in action, and organized into a use-it-now approach that will help you become a top sales professional-starting today. BRIAN TRACY is the Chairman and CEO of Brian Tracy International, a company specializing in the training and development of individuals and organizations. The top sales trainer in the world today, he has trained more people in more industries and more countries than any other sales trainer alive. He is the bestselling author of 55 books that have been translated into 38 languages. MICHAEL TRACY is a top sales professional, in charge of international sales for a high-tech company.